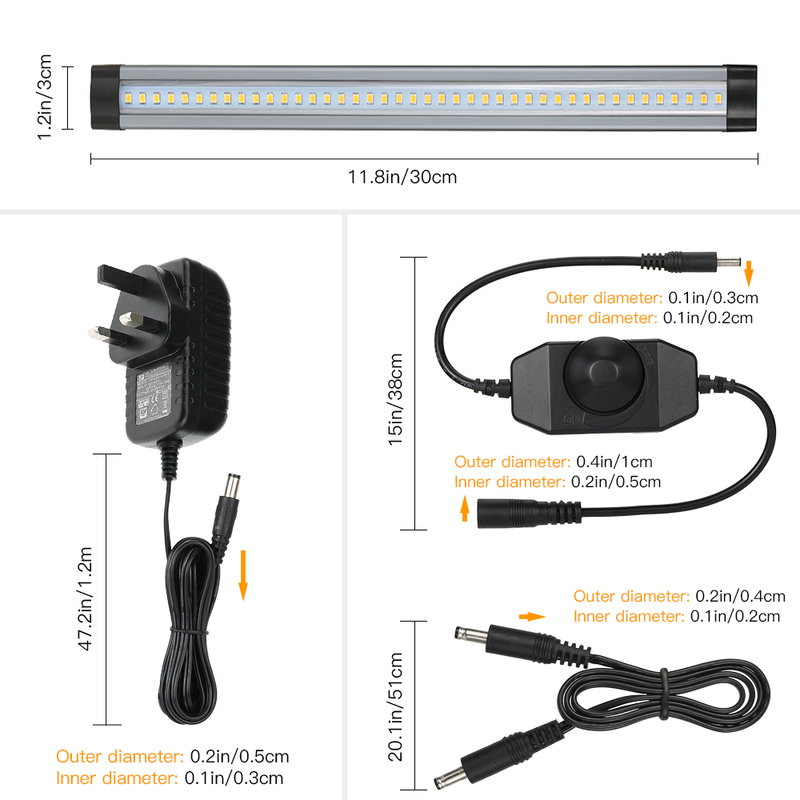 This ultra-thin cabinet light is easy to install with its complete accessories. Mini size and light weight ensure that you can carry it at ease. 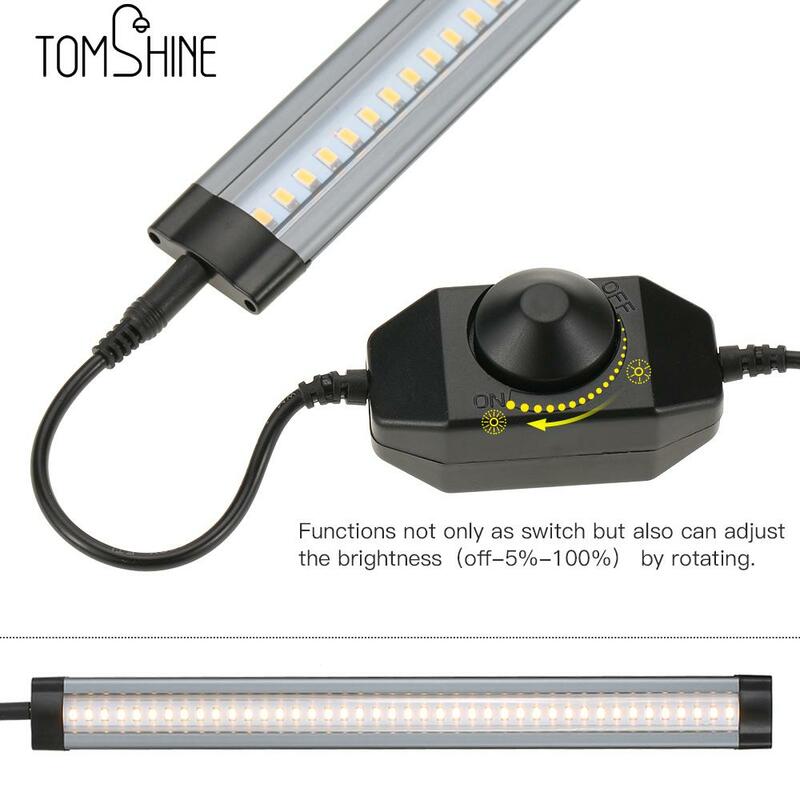 Adjustable brightness with spin button is perfect for different occasion. Romantic warm white light color decorates your place more attractive. ULTRA-THIN:Only 0.2 inches think,freeing up more place for you. 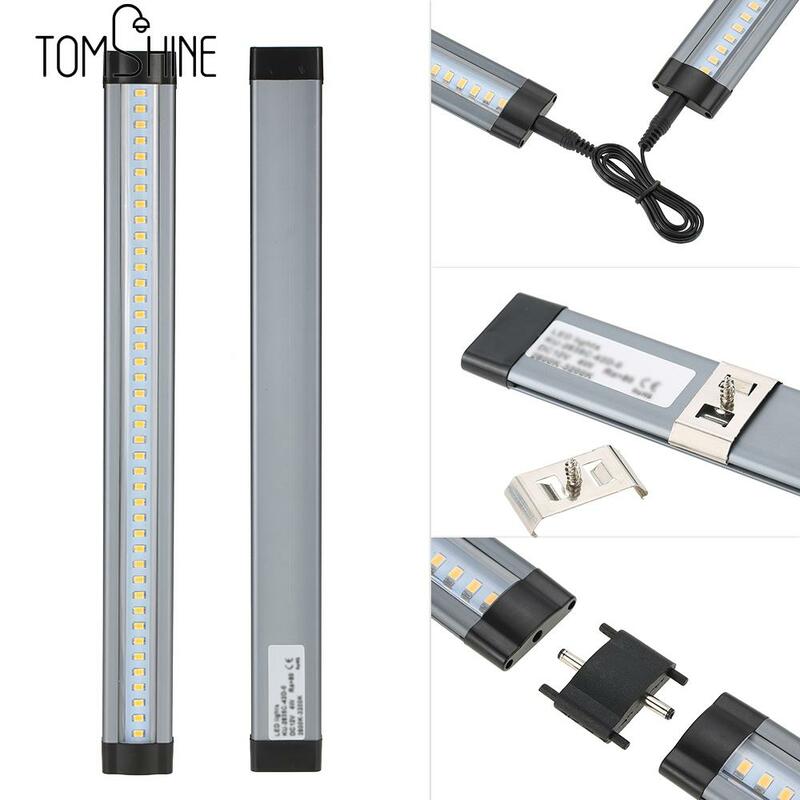 ADJUSTABLE BRIGHTNESS WITH SPIN BUTTON: You can adjust light brightness by dimmer under different circumstance for meeting various needs. 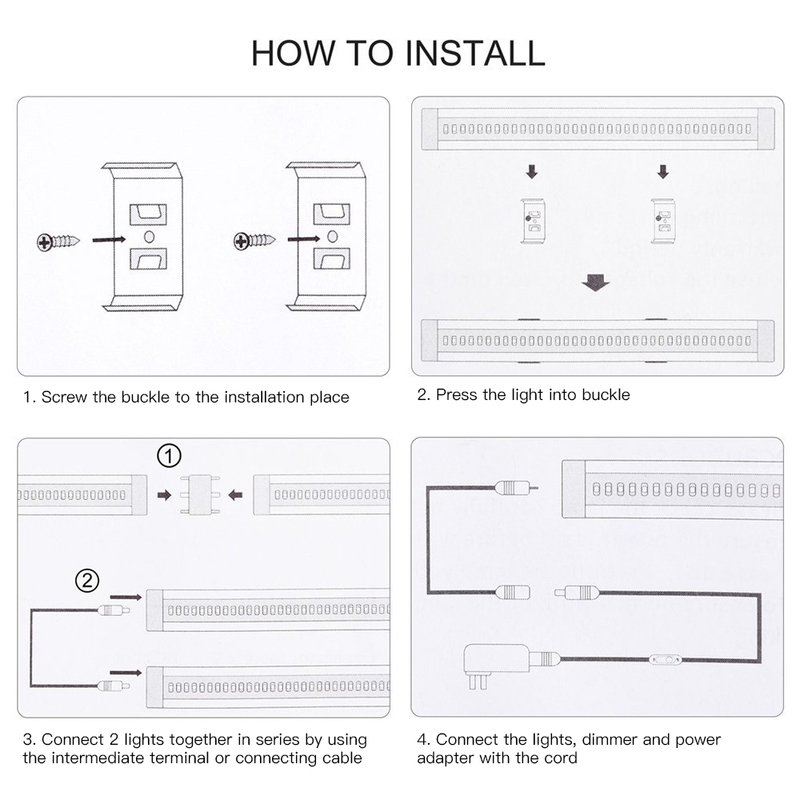 OPTIONAL CONNECTION TYPES: Considerate design for providing two type of connections, including connecting cable and intermediate terminal, you can choose the way you like for connecting. CONVENIENT INSTALLATION: No damage to furniture, provided strong backing adhesive or screws it on as you like. 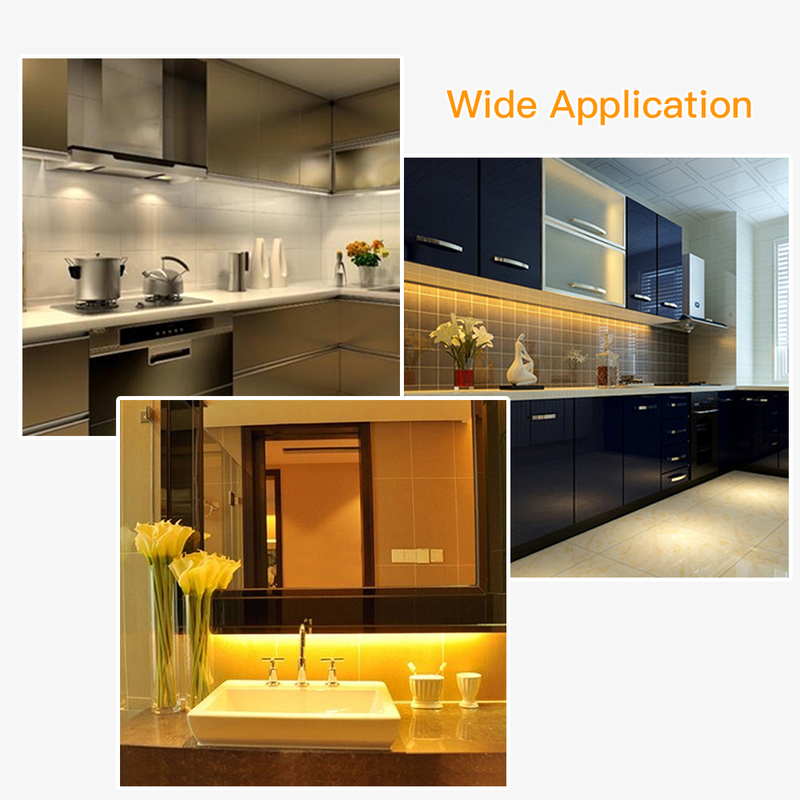 WIDE APPLICATION: It can be widely used in cloakroom, cupboard, wardrobe, cabinet, shoe cabinet etc. 2. 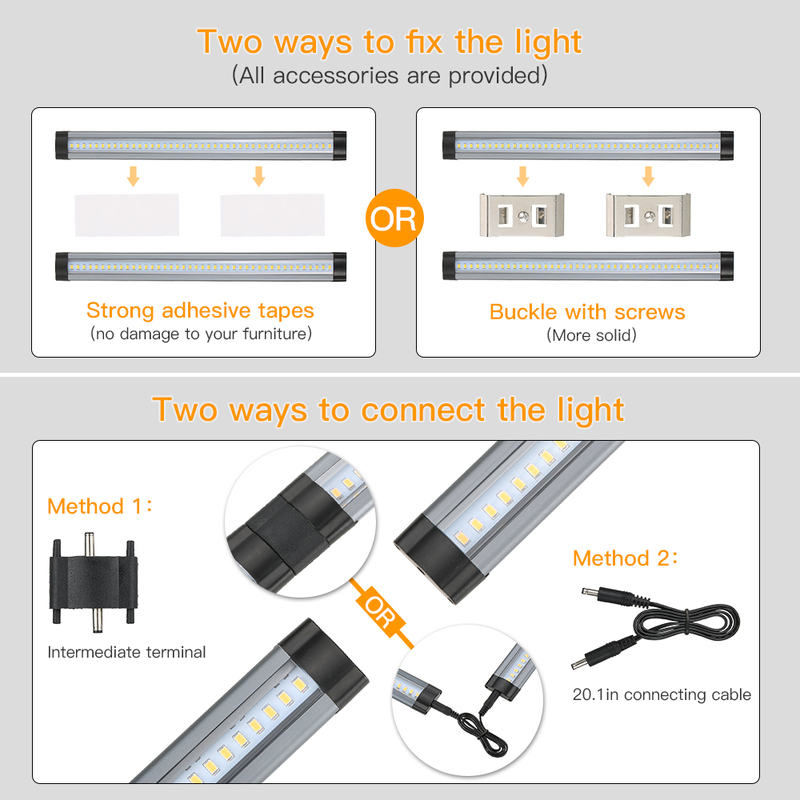 Please cut off power before installation; do not connect the DC12V strip directly with AC220V. 3. Do not reverse the positive electrode and negative electrode. 4. Do not install around heat or corrosive place. 5. Please ensure the installation site can bear 10 times weight of the product before installing. 6. Do not drop it from high place, avoid crashing, shaking. 7. Avoid being impacting during transporting or passing; please handle carefully when carrying, to avoid strips being broken or transfigured, please do not pile higher up or place heavy items on it.